With the number of new STD cases in the US hitting an all-time high, taking care of your sexual health is more important than ever. If you have made the smart decision to get tested but cannot decide between PlushCare and Walk-In Lab , we can help you make up your mind in a matter of minutes. View our detailed PlushCare VS Walk-In Lab comparison below and find out which company can provide a higher quality of service and make the whole process less uncomfortable. PlushCare was founded in 2014 in San Francisco as a provider of high-quality medical tests. It also offers online doctor's visits and many other features of modern medicine and technology. Saves time and energy when you feel ill. Excellent service but not the best choice if you have terrible internet like me. For just 99 bucks I get to choose my own doctor and schedule an appointment whenever I want without ever leaving my house!!! They could definitely expand its service. Other than that, I like the business model. PlushCare is a young company focused on internal medicine and urgent care. Apart from offering numerous testing solutions, it also utilizes the achievements of modern telemedicine to offer its users high-quality clinical health care from a distance. 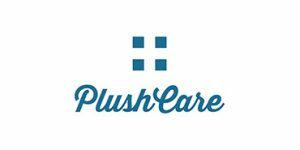 Read our PlushCare review to learn all about the company, its services, and testing process.